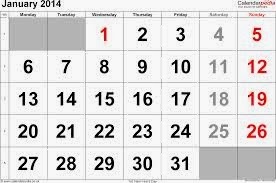 It’s the first day of the year 2014. Time for a new start, a new beginning, another chance to “get it right” – to do all the things we want to do, and even more important than want to do, it's a chance to do all the things we know are ours to do. You know the odds are against us. Turning the page on the refrigerator calendar or going forward a month on our digital day timer isn't nearly enough. I was gazing out the window toward our bird feeders when I wrote that last line. Without announcement a group of ten sparrows swooped onto the three tube feeders nearest the house, while a Blue Jay, in search of peanuts, landed in the tree next to the feeders and screamed his notification to them that he was about to land, pick up a peanut, and fly away. Fifty feet behind the tube feeders a group of starlings, no doubt on their way to Cancun, are working on the suet cake we placed there for them. Same birds doing the same as they did yesterday. However, they don’t pretend this day is different from yesterday or the day before. They don’t have calendars. They have this moment, and this one, and this one… and they live in this moment totally, without conditions, complaints, renewals, or regrets. Life spent in this moment, without a calendar, seems to be the way back to what has always been ours.